Bicolor Bistro grill menu board with prominent fonts and using of food graphics in between to make it look attractive. To spice it up patters are using along the border of the menuboard. 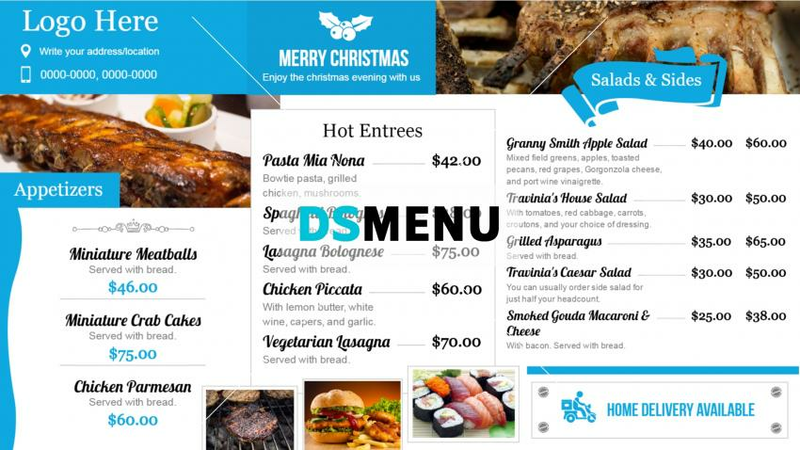 The menu board is ready for edit and download.